Self-destruction of the body: Cancer turns normal body cells into their malignant counterpart that wants to keep on replicating by any means. Understanding the individual disease offers the potential for more effective therapies with fewer side effects. The new PromoCell Primary Cancer Culture System allows researchers to generate high-fidelity in vitro models of primary tumors. The dream of personalized cancer therapy: take a tumor sample from a patient, and use it to find the drug that affects the malignant cells only. No side effects, because the only cells affected are cancer cells. Personalized medicine is not yet reality. But scientists are discovering more and more pieces of the jigsaw puzzle that could ultimately allow the individualized treatment of patients. With cancer accounting for over one quarter of the total number of deaths in the EU member states (Eurostat, 2013), there is an urgent need for new, effective, and more tolerable therapies. Within the past decade, cancer chemotherapy has evolved from non-specific drugs that damage both tumor and normal cells, to more specific agents and immunotherapeutic approaches, which could show greater effectiveness with less toxicity (Schilsky et al., 2010). Selecting the optimal drug for each patient requires both profound understanding of the cancer biology and molecular profile, as well as well-established pre-clinical tests. Being able to transfer results from the lab to clinical studies and beyond is crucial (Mitra et al., 2013). “The most accessible and easily usable models for investigating cancer biology and exploring the efficacy of anticancer drugs are immortalized cancer cell lines. But they poorly represent the heterogeneity of tumors in patients, and are therefore not ideal for drug screening,” explains Julia Schnappinger, a postgraduate researcher at the Immunoanalytics Core Facility of the Helmholtz Zentrum in Munich. Each patient can show a different response to the same drug, due to genetic and epigenetic variability. In addition, the cancer cells show accumulations of genetic aberrations with increasing passage number and do not reflect the behavior of tumors in vivo, as they have a long history of selection and adaptation to various in vitro conditions. 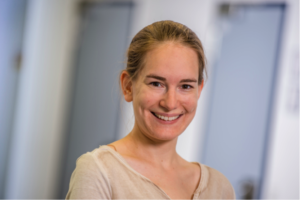 Julia Schnappinger at the Helmholtz Zentrum in Munich investigates the properties of tumor-infiltrating lymphocytes in patients with renal cell carcinoma. Her research could lead to new immunological cancer therapies. In order to get a better picture of human cancer biology and metastatic progression in vivo, tumor tissue can be engrafted in immunodeficient rodents and grown through serial transplantation, giving rise to stable tumor cell populations. Xenografts from patients with pancreatic adenocarcinoma were shown to consistently retain tumor morphology, metastatic potential, and genetic stability (Delitto et al., 2015). Similar findings were described for xenografts from patients with small-cell lung cancer (Daniel et al., 2009), colon cancer (Dangles-Marie et al., 2007), breast cancer (Morton et al., 2007) and several other types of tumors of lower grade of malignancy. However, using animal models is time-consuming, requires immense resources, lacks current standardized criteria, and may not translate into benefit for cancer patients. Moreover, the evolution of the tumor microenvironment over time is poorly characterized as murine stromal components are incorporated in the xenograft. This is important especially when studying drugs targeting the tumor environment or the immune system as the biological responses differ from mouse to humans (Tentler et al., 2012). For a patient-specific therapeutic approach, the use of primary cancer cell cultures is gaining more and more relevance. Indeed, it is very valuable for studying the tumor biology, for identifying novel biomarkers, and for testing new compounds. So far, the isolation and culture of solid tumor cells in vitro still represents a critical challenge, and has shown only limited success. Traditional tumor cell media often support the growth of benign tumor cells, and a stromal overgrowth often causes a gradual loss of the original malignant cell population. Moreover, in vitro primary cell cultures are often short-term, and result in a progressive loss of viable tumor cells. “We were trying to establish primary cell cultures from patients with renal cell carcinoma,” says Julia Schnappinger, “but after three to seven days we could observe cancer cells starting to die, and a necrotic area beginning to form in the center of the tumor spheroids. Other groups tried using self-developed conditioned media with supernatants from other cell lines and growth factors. We were looking for an easier and ready-to-use solution that could help us save time and have better success rates.” That’s why Schnappinger has been looking for a culture system that allows her to keep tumor cells in culture for a longer time. Primary cancer cells from a squamous cell carcinoma in vitro: The primary culture was obtained after 4 weeks as compact and heterogeneous adherent colonies formed by different types of epithelial-like cells. The culture proliferated in the Primary Cancer Culture System with a population doubling time of approximately 7 days and could be serially passaged with no signs of growth inhibition. Primary cancer cells from a low-grade small cell lung cancer in vitro: The primary isolate was obtained after 4 weeks as a floating sphere-forming culture, which persisted in a near-quiescent state even after 6 months. The culture proliferated in the Primary Cancer Culture System. This culture system offers a universally applicable and cost-effective solution with a defined and animal-free culture environment without using cytotoxic agents. The culture and the enrichment of malignant cells are supported while the growth of benign cells is not promoted. As a result, culture conditions are selective for cancer cells, while preserving the original diversity of the cancerous subpopulations. The selection is based on functional properties, and subsequent cell sorting is not needed. Schnappinger’s application of the Primary Cancer Culture System: She is adding tumor-infiltrating lymphocytes (TILs) to the primary cell culture, letting them migrate into the tumor, and observing eventual changes in the phenotype. The question that fascinates her is to “use the body’s own defenses” and to modulate the patient’s immune system to induce a reaction against the cancer cells. TILs are the effector cells of the immune system in the cancer environment. “It is important to better characterize those cells in patients’ samples, and understand why they are different from circulating lymphocytes and from cells that are present in healthy tissue,” she explains. Selective culture of primary human cancer cells: The PromoCell Primary Cancer Culture System makes it possible to reliably deplete benign cells from the cell culture while supporting the maintenance of cancer cells and tumor cell heterogeneity. Pros and Cons of primary cancer cell culture: Comparison of primary cancer cell culture with the Primary Cancer Culture System, patient-derived xenografts (PDX), and cancer cell lines. The biological features and limitations as well as the culture conditions of the different methods of cancer cell culture are contrasted in the table. Furthermore, the differences in selection properties and further applications of the Primary Cancer Culture System are shown. The successful generation of primary tumor cell cultures is indispensable for the exploration of stage and patient specific therapies, increasing the effectiveness of conventional clinical approaches. This also allows researchers to improve their efficiency in drug development, reduces therapy-related toxicity, and results in better outcomes for the patients. Isolate tumor cells from patient samples and transform them into long-term cell cultures. Learn more about the Primary Cancer Culture System and how it compares to other established culture methods. PromoCell’s Primary Cancer Culture System is a standardized, animal component-free and serum-free system for the isolation and culture of human primary tumor cells. It supports the long-term culture of cancer cells while maintaining the original tumor properties and heterogeneity with controlled stroma support. PromoCell introduces the next generation 3D tumorsphere culture medium. This medium has been designed to meet your requirements for the extended serial 3D tumorsphere culture. Our 3D Tumorsphere Medium XF supports the tumorsphere/mammosphere culture of the most commonly used cancer cell lines. In vitro cell model systems to study angiogenesis, cell migration, chemotaxis and cell invasion. Using primary cell cultures or immortalized cell lines, processes such as cell motility, adhesion and viability as well as cell functionality and responsiveness to stimuli can be analysed.